nginx [engine x] is an HTTP and reverse proxy server, as well as a mail proxy server, written by Igor Sysoev. According to Netcraft nginx served or proxied 30.46% of the top million busiest sites in Jan 2018. OpenResty (aka. ngx_openresty) is a full-fledged web application server by bundling the standard Nginx core, lots of 3rd-party Nginx modules, as well as most of their external dependencies. 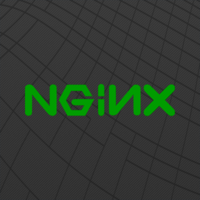 Why do developers choose nginx? Why do you like nginx? Why do developers choose OpenResty? Why do you like OpenResty? What are the cons of using nginx? What are the cons of using OpenResty? What tools integrate with nginx? What tools integrate with OpenResty? What are some alternatives to nginx and OpenResty? The original API performed a synchronous Nginx reload after provisioning a zone, which often took up to 30 seconds or longer. While important, this step shouldn’t block the response to the user (or API) that a new zone has been created, or block subsequent requests to adjust the zone. With the new API, an independent worker reloads Nginx configurations based on zone modifications.It’s like ordering a product online: don’t pause the purchase process until the product’s been shipped. Say the order has been created, and you can still cancel or modify shipping information. Meanwhile, the remaining steps are being handled behind the scenes. In our case, the zone provision happens instantly, and you can see the result in your control panel or API. Behind the scenes, the zone will be serving traffic within a minute. Nginx serves as the loadbalancer, router and SSL terminator of cloudcraft.co. As one of our app server nodes is spun up, an Ansible orchestration script adds the new node dynamically to the nginx loadbalancer config which is then reloaded for a zero downtime seamless rolling deployment. By putting nginx in front or whatever web and API servers you might have, you gain a ton of flexibility. While previously I've cobbled together HAProxy and Stun as a poor man's loadbalancer, nginx just does a much better job and is far simpler in the long run. Used nginx as exactly what it is great for: serving static content in a cache-friendly, load balanced manner. It is exclusively for production web page hosting, we don't use nginx internally, only on the public-facing versions of static sites / Angular & Backbone/Marionette applications. We use NGINX both as reverse HTTP proxy and also as a SMTP proxy, to handle incoming email. We previously handled incoming email with Mandrill, and then later with AWS SES. Handling incoming email yourself is not that much more difficult and saves quite a bit on operational costs. NGINX sits in front of all of our web servers. It is fantastic at load balancing traffic as well as serving as a cache at times when under massive load. It's a robust tool that we're happy to have at the front lines of all Wirkn web apps.